Entrée to Black Paris is extending a warm welcome to Fulbright scholar Sonita Moss as our first official intern! Sonita is a Sociology Doctoral Candidate at the University of Pennsylvania (my alma mater). Her project was selected from hundreds of applications and is one of 22 other recipients of the scholarship for France (12% acceptance rate). She received the longest award period (9 months) and the maximum award amount granted by the Fulbright committee. In what ways is the act of traveling to or living in Paris transformative – real or imagined – for African Americans? Is there a difference in liberatory or redemptive racial identity reformation possibilities for permanent residents compared to travelers in Paris? How does social life in Paris facilitate the reconstruction of racial identity, if it all? 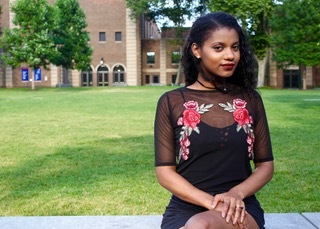 Through her research, she seeks to narrow the gap in the literature on specific ways that racial identity reformulation is mediated by the length of stay abroad. Her ambitious plans include interviewing ~50 African Americans who have lived in Paris for at least 5 years. As a 20 year old college student, leaving the U.S. for the first time, passport in hand, France was the first country I visited. 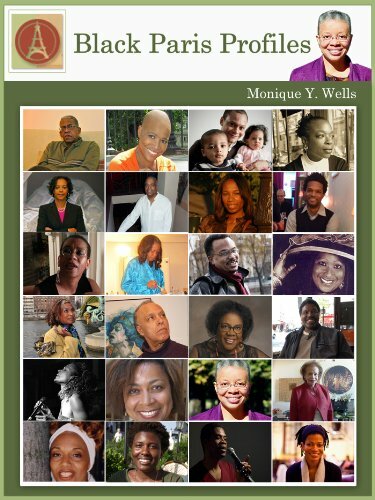 Paris felt magical, and the wonderful experiences I had never left me - but I had the strongest sense that being African American strongly shaped my perspective as both a tourist and a global citizen. For her Spring 2018 internship with Entrée to Black Paris, Sonita will conduct follow-up interviews with several of the women featured in our 2012 Black Paris Profiles publication. These interviews will serve as part of her research project as well as provide material for ETBP blog posts during Women’s History Month. Additionally, Sonita and I have entered into a mentoring relationship as a means of support during her extended stay in Paris. 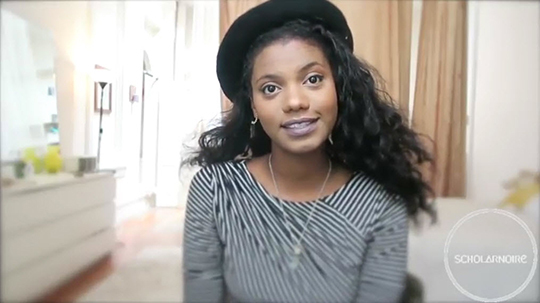 To get a feel for Sonita's vibrant personality, visit her Scholar Noire YouTube channel. Her video entitled"I'm Moving to Paris" is one of my favorites - click on the image below to watch it!